If you are planning to celebrate the mom in your life with breakfast in bed, we have the perfect treat. 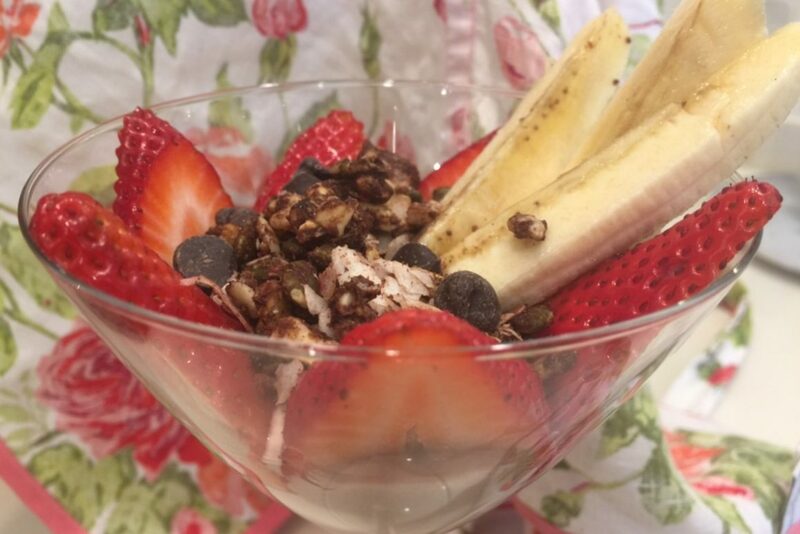 Attune Health’s Mother’s Day Brunch Bowl, created by our board-certified holistic nutritionist Lee Bell, herself a mother of two, is a delicious and healthy yogurt parfait with fresh fruit and hearty granola. It’s refreshing and it’s so easy to make that the kids can do most of the work! Just remind them to let mom sleep in first. Happy Mother’s Day from Attune Health. 1 individual-sized container of coconut milk yogurt. Use chocolate, vanilla or any other flavor. Scoop yogurt into bottom of glass. Slide sliced berries around the rim of the glass. Top with granola and carob chips (optional) and finish off with bananas.